We find it irresponsible the swiftness with which ordinary cases of missing girls are being described as kidnappings. We do not intend to reduce the seriousness of the case of the three missing girls: a subject which is expectedly still on the front burner. No not all. All we seek to convey by this commentary is that the two scenarios of missing persons and kidnappings are different; not similar in nature and should therefore not be regarded and treated as such. The sensationalisation of the subject under review does not help matters and cause avoidable fear and panic in the country. We are aware about how this negative situation plays into the hands of persons who relish the perception of insecurity because this inures to their diabolic political game plan. In this edition, there is an announcement about a missing girl, a story which could easily be reported as a case of kidnapping by mischief-makers. Emerging details are pointing at the law enforcement agencies being on top of the security challenge. Some parents are being irresponsible and should be held responsible for some cases of missing persons which in recent times, as we have observed, have mutated into instances of kidnappings. Sending a twelve –year-old or a little above that girl into the streets to sell water or engage in any form of money making venture is an act of exploitation of the innocent girls and should be condemned in its entirety. At a time when knowledge about child labour being a breach of the law should have permeated the whole country, it is surprising that the anomaly is ongoing. It is common to have some of these girls going missing or even abducted and sexually assaulted as observed in many past stories. The law enforcement agencies must join hands with the Gender Ministry and relevant entities to stem the exploitation of teenage girls in the country. The Director General of the Criminal Investigations Department (CID), last Saturday, landed in the twin city of Sekondi-Takoradi, the epicenter of the so-called kidnappings making the headlines. We are excited about the detail, for instance, that the girls are alive and not otherwise; as we feared in the past few days. We are even more elated that over a dozen suspects have been rounded up and brought down to Accra to assist in the investigations into the subject. The support of foreign partners in managing the security challenge as disclosed by the Inspector General of Police, Mr. David Asante Apeatu, is a welcome development; the capacity building segment, especially, constituting a fantastic plus to our law enforcement agents. We have taken note of the non-forthcoming posture of the principal element in the suspected kidnapping episode and think that were the appropriate skills been available to the law enforcement agents, the suspect could not have been that obstinate. 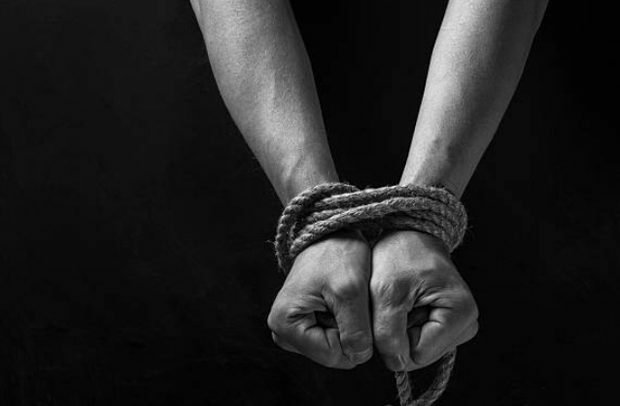 We appreciate the challenges in managing issues about suspected kidnappings, especially, when such a phenomenon is not something we are used to in our part of the world. This notwithstanding, we demand that the investigations should be expedited now that many suspects are in the hands of the law enforcement agents.